You've decided to open your home to a little kitty. And why not? 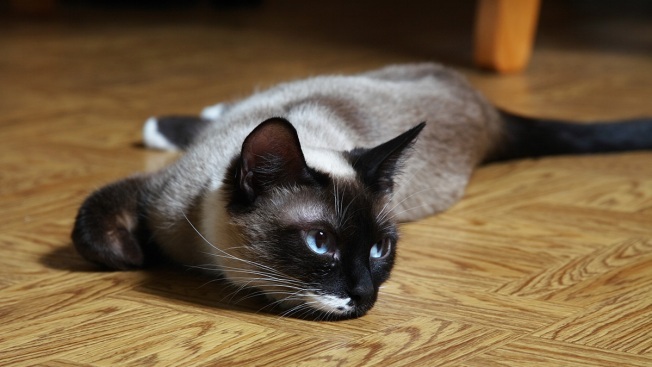 Cats are playful and cute, and they don't require as much maintenance as dogs. But there are things future cat owners need to consider before bringing little Fluffy home. Being a pet parent is a big commitment that requires time, effort and a lot of love. You also need to be make sure being around your new feline friend won't have you rushing to the emergency room in search of an epipen. Pet allergies are very common — between 5 and 10 percent of the population suffers from allergic reactions after being exposed to household pets. According to the Asthma and Allergy Foundation of America (AAFA), cat allergies are about two times more common than those caused by dogs. That's because dog allergens don't stay airborne as long as cats' do, according to LiveScience.com. 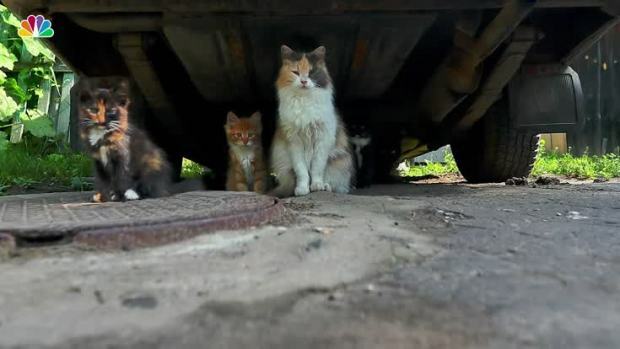 Unfortunately, that also means a lot of animals — many of them cats — become homeless. There is a lot of confusion and misinformation about what exactly causes an allergic reaction to cats. Most people believe what they’re allergic to is cat hair — which isn’t necessarily true. The real culprits are the kitty’s saliva, tears, urine and dander — those dried flakes of skin that fall off. When a cat grooms itself or goes to the potty, it releases Fel-d1, a feline allergen, into the air, and onto its skin and hair. An allergic reaction happens when someone with a cat allergy breathes the air or comes into contact with protein-laden hair or dander. Some of the symptoms of cat allergies include coughing and wheezing, hives or rashes, red, itchy eyes, runny noses, and sneezing. It can take anywhere from a few minutes to hours for symptoms to appear. All cats produce the allergen, so there isn't a truly hypoallergenic cat. Male cats produce the most allergens, and those who are intact make more allergens than neutered males, according to PetFinder.com. Some breeds can be more problematic for allergy sufferers than others. Cats with darker coats tend to give off more allergens. And allergy sufferers should stay away from short-haired cats since their coats don't hold the protein against their skin like long-haired cats, EverydayHealth.com suggests. There may be relief for people who suffer from allergies but still love cats. Even though it hasn’t been medically or scientifically proven yet, there are cats that may be considered hypoallergenic, which means they are unlikely to cause an allergic reaction. The Balinese, the Bengal and the Burmese are all breeds that produce low levels of allergens. But the consensus is the Siberian is best suited for people with cat allergies. It’s believed the breed may have low levels of these allergens or proteins, according to Siberian Research's website. About 50 percent of Siberians are said to have levels lower than normal cats, the group’s research showed, while about 15 percent of the breed produces very low levels and could be placed with people who have severe or dangerous reactions to cats. Erica Rice said she and her husband adopted a Siberian kitten after they discovered their 2-year-old daughter Brianna couldn't live with cats. Erica Rice's daughter Brianna, 2, plays with the family's Siberian kitten, Duncan. Rice said her family adopted Duncan because the breed is considered one of the best for people with allergies. "We had a cat before she was born," Rice said. "But she started getting runny noses and we weren't able to figure out why." After getting Brianna tested, their doctor determined she had allergies. 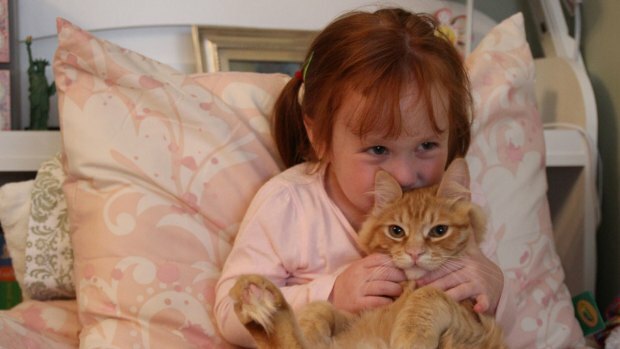 When their cat died, the family didn’t want to get another one because of the potential health risks to Brianna. "She also has cystic fibrosis, and we didn’t want to take any risks. There’s a higher risk of her getting infected because of her allergies," she added. Rice said because Brianna loves animals, her husband did some research online and contacted Siberian breeder Kate Stryker about adopting a kitten. Stryker runs ForestWind Siberian Cat Breeder in Buffalo, New York, and has been breeding Siberians since 2005. "About 80 percent of our buyers are cat allergic or asthmatic or both," said Stryker, who also happens to be highly allergic to cats. Stryker said she gives potential adopters questionnaires, asking them detailed questions: whether anyone in the household has allergies, if they’ve had allergy shots and about the types of reactions and symptoms. Once all the information is collected, she invites potential adopters to spend time with the felines — to ensure the cat is a good fit and so the animal won’t be surrendered because of allergies. "I am very aware of the necessity to take a slow beat and to consider all of the various factors that go into making a successful kitten placement into a cat allergic or asthmatic home," she said. According to Rice, Brianna and Duncan — now 23 weeks old — are inseparable, and the 2-year-old hasn't had an allergic reaction since they brought him home. "All around, he's just awesome," she said. Because purebred cats can often come at a high cost, potential adopters can still consider shelter cats with some medical intervention. Cat allergies can be controlled with over-the-counter allergy medication — antihistamines and decongestants or nasal sprays. WebMD.com also recommends allergy shots, which have been known to make a big difference in some allergy sufferers. Keep pets out of the bedroom and change clothing after prolonged exposure to an animal. Allergens love to settle into deep carpeting, which can make allergies worse. Think about getting rid of carpeting and sticking with a bare floor. Using air cleaners with a HEPA filter can help remove pet allergens from the air. Although it may only be a nominal decrease, bathing a pet regularly can reduce the number of airborne allergens. And it may go without saying, but remember to keep kitty's litter box clean.